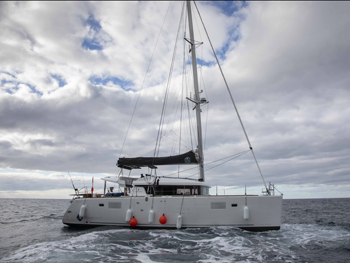 The French catamaran Maitai left Salvador, Brazil for Cape Town, South Africa on the 17th February 2019. 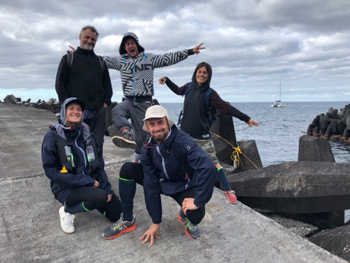 They met adverse weather and by the 28th February feared they might not have enough fuel to get them to Cape Town safely. Via the skipper's wife on the French Indian Ocean island of Mayotte and this website, they asked if they could divert to Tristan to pick up more fuel. As these pictures show, the catamaran arrived safely of Calshot Harbour on the morning of the 8th March 2019, and the crew were glad to be able to step on solid ground after three weeks at sea. After topping up on supplies and the much needed fuel they enjoyed a relaxing afternoon exploring the settlement. The crew reembarked about 6:00pm and continued their voyage later the same evening. The catamaran Maitai anchored off Calshot Harbour. The crew of ashore on Tristan. Maitai prior to departure. 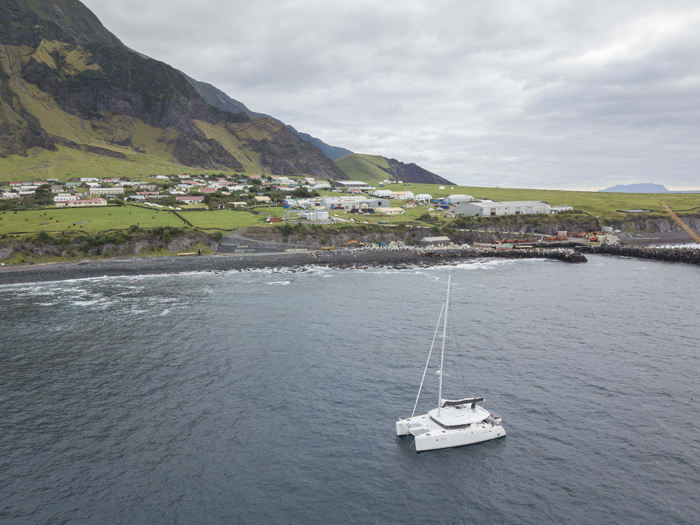 If you were on the Maitai, we'd appreciate your feedback using our Visitors' Feedback Form.